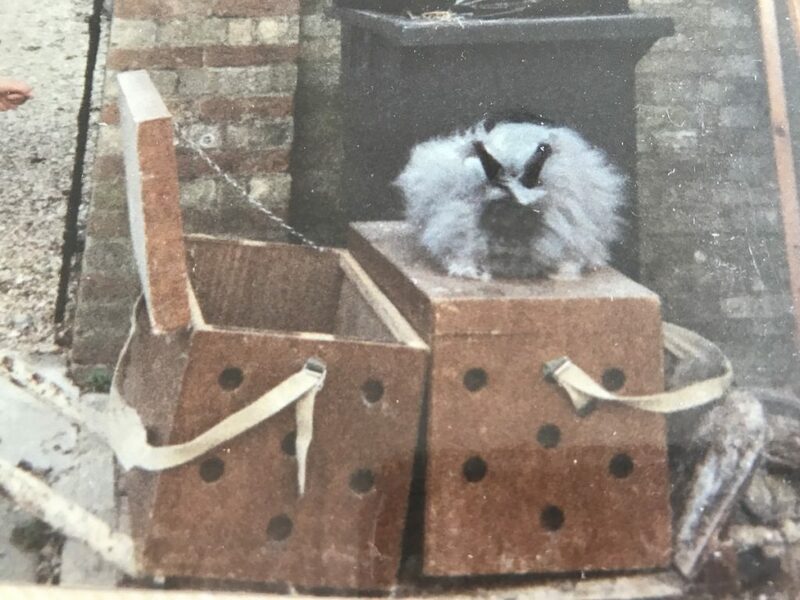 Equipment for an Angora Rabbitry- from 40 years ago. Most breeders prefer to house Angoras in a shed or outbuilding, principally for the owner’s comfort when cleaning or feeding in bad weather, but also because indoor housing removes all worries of show-coats spoiled by heavy rain beating against hutch fronts, besides allowing earlier breeding and wool harvesting almost all the year round. Angoras do thrive, however, in outside hutches, but much attention has to be given in assuring that hutches are proofed against wind and rain. Outside hutches are best arranged to face South or West, and it will be necessary to have at least half the fronts boarded. Indoor hutches need only consist of wire netting on a wood frame, and Angoras will breed quite successfully in such open hutches. There are many good commercially made hutches on the market (see Fur & Feather), but for those who prefer to make their own, here are some points to bear in mind. The plainest and simplest hutch is the most serviceable. Plywood sheeting used with a wooden framework makes ideal hutches that are weatherproof, draught proof, and will prevent visitations from such unwelcome visitors as rats, mice, weasels etc. They will last many years. If wood is used it should be tongued and grooved, and bitumen or similar sealing material used to prevent urine soaking through to the lower hutches. Use ½“ welded mesh netting for the doors. Breeding stock will just require a layer of straw over sawdust on the hutch floor, but the provision of wire floors is essential for show-coated stock. 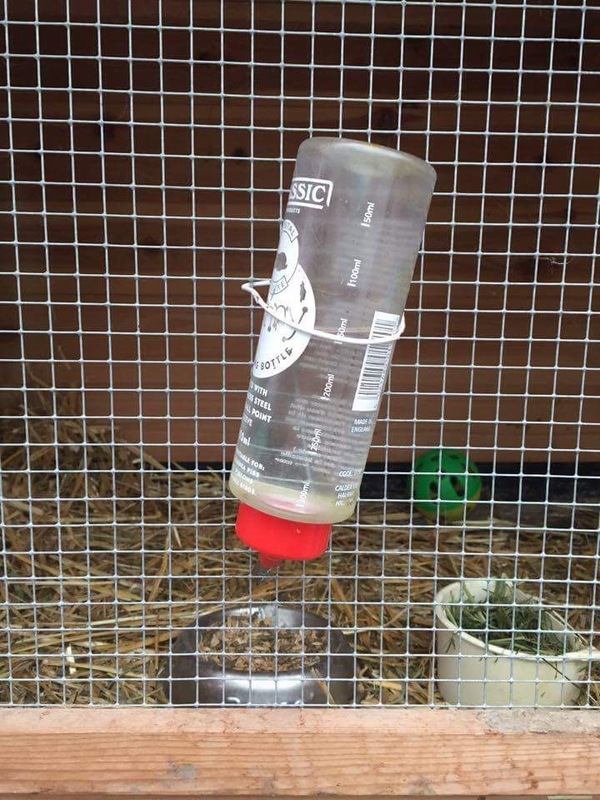 A frame made of 2” x ½“ wood made to fit the hutch floor less ¾“ all round, with ½“ or ¾“ Twiweld mesh netting stretched over it and the rough ends sealed in with thin strips of wood, makes a floor that raises the rabbit 2” off the hutch floor. It can easily be removed for cleaning and, in due course, repairs, since wire netting does not last for ever. When making the frame for the wire floor, do be sure that it will pass through the hutch door comfortably. Nothing is more irritating than a floor that refuses to budge on cleaning out day! The beginner is advised to regard “patent” hutches with some caution. Many designed to be self-cleaning often offer easy access to vermin, discomfort for the stock, and have to be placed in such a position that they offer no economy in space. Beware too, of built-in hutches. 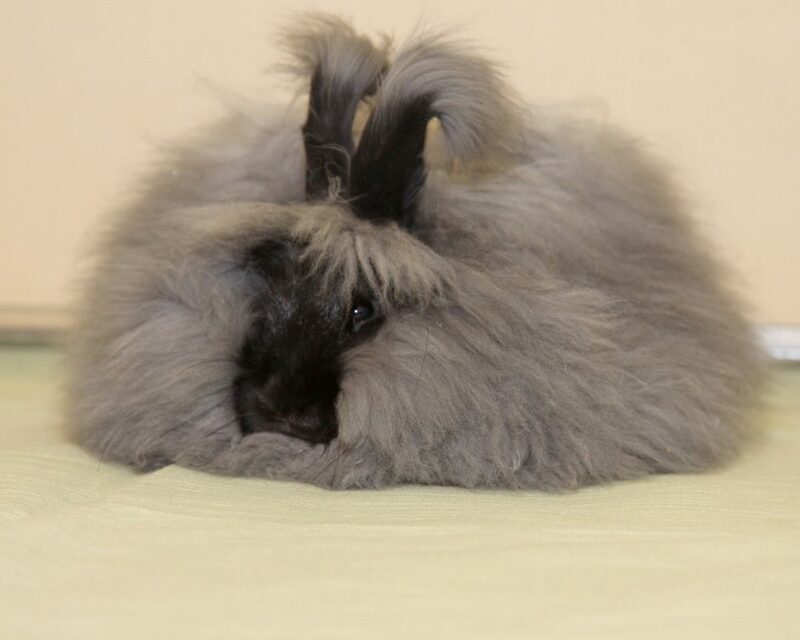 Should there be sickness among the stock, isolation is not possible, and of course, this type of hutch presents great difficulty should the necessity arise to move the rabbitry. 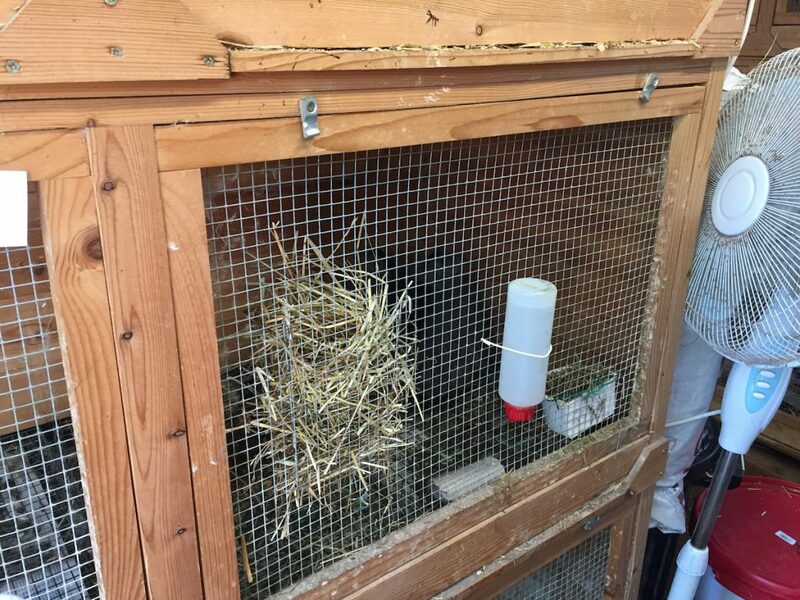 All hutches should be made separately or in pairs for easy handling and access for repairs, even if they are arranged in stacks in the rabbitry. 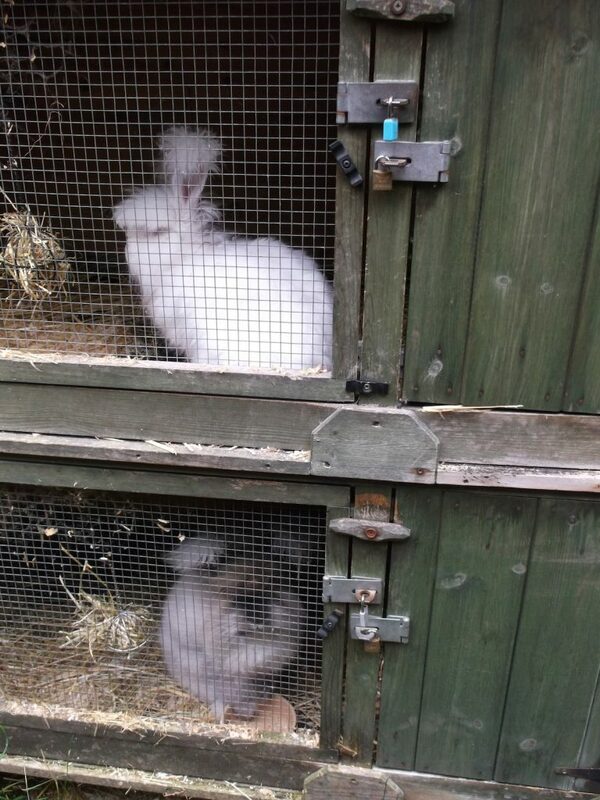 When arranging hutches in a shed or outbuilding, be sure that every hutch has its share of light and fresh air. If you are building a shed to accommodate the hutches, roof lighting and ventilation gives the best use of the internal space, while ensuring that no hutches are in darkness. In such a shed hutches can be arranged the full length of the walls in two facing tiers, though there should not be less than four foot between these tiers to allow easy access for feeding and cleaning. An openable window in the door provides additional light and ventilation, and a door placed at either end of the shed allows a free flow of air in the very hottest weather. Perfectly dry storage space is also required for feeding stuffs, straw and sawdust. Feeding pots are a matter of choice from a wide range available in earthenware, plastic and metal. They need to be about two inches deep. Water pots too are readily available. 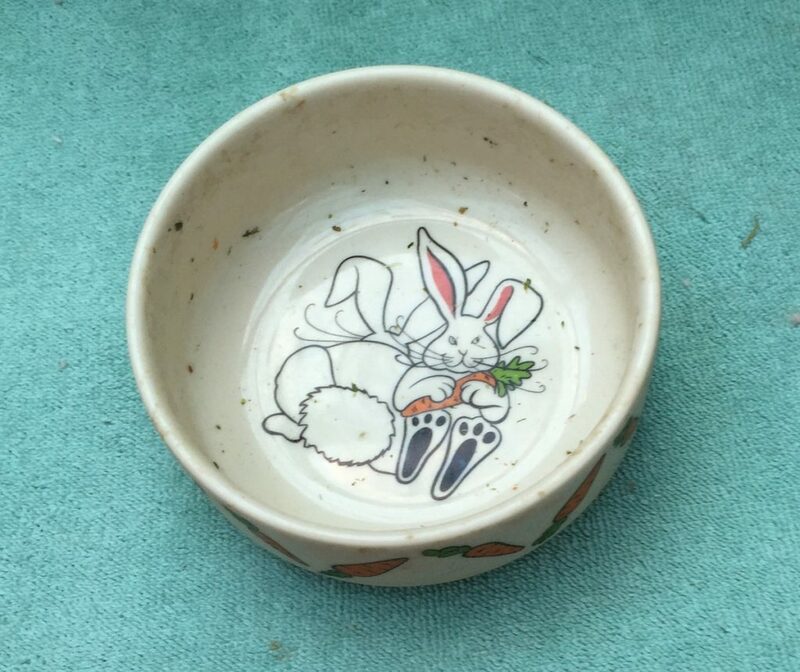 They can be a metal trough designed to hook on to the hutch front or in bowl form in plastic or earthenware. Hay racks are essential for show-coated stock, and are an economy for all stock. There are many advertisements in Fur & Feather offering feeding appliances, though many can be found in local shops. A grooming stool will be essential. It should be about waist level in height, constructed to have a top about 10” by 12”. Old-fashioned plant stands, ideal for the purpose, can often be found at very low prices in second-hand furniture shops. 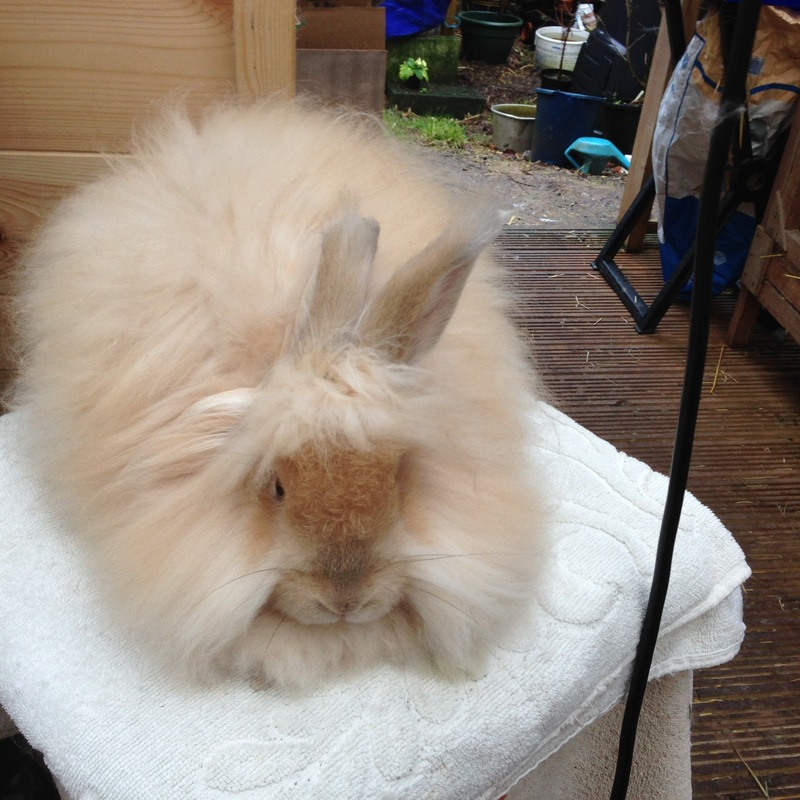 Cover the top with a piece of towelling or hessian to give the rabbit a firm foothold. The best brush for all-round purposes is, in the writer’s opinion, the Maison Pearson pocket-sized brush, with nylon bristles on a pneumatic pad, obtainable at about 17 shillings from any good chemist, hairdresser or departmental store. 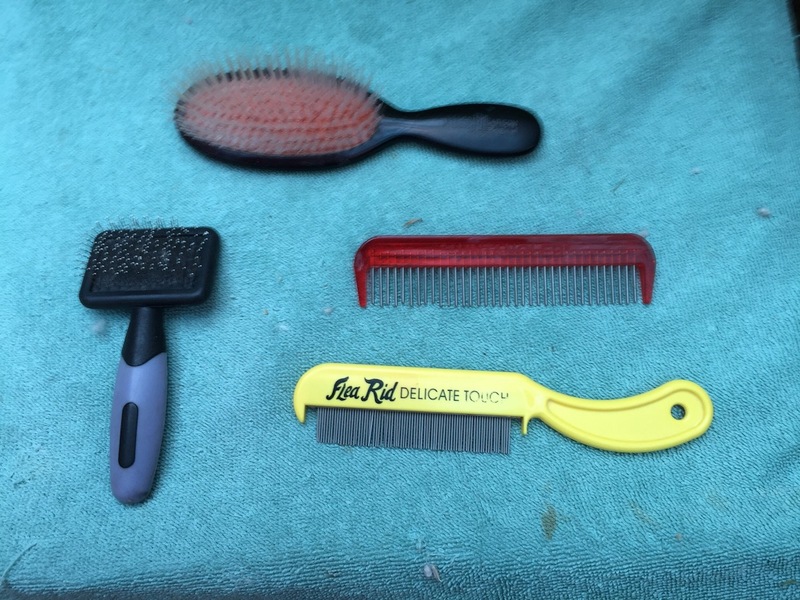 There are many similar brushes on the market at lower prices, but these are too heavy and too harsh for Angora grooming. This brush penetrates the coat and yet is gentle in action. 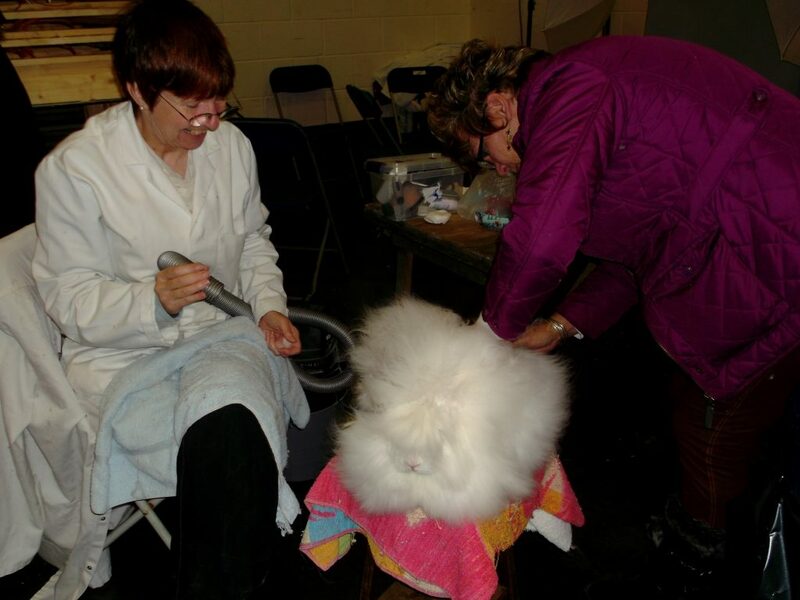 If exhibiting is the intention, then a further brush is necessary for the fragile show-coat, and it falls to the breeder to explore for a soft brush to suit his particular hand. Baby brushes, long crumb brushes, whisk brushes are among the variety that exhibitors choose. Such a brush will not remove tangles or mats in the wool, but will give the show-coat that fresh appearance as a final touch. Exhibitors will also need some means of blowing the coat of an exhibit. This can be hand-bellows, foot-bellows (both hard to come by and usually made to order), paint sprayers, tyre pumps, or the most popular, the household vacuum cleaner used as a blower. The latter cannot be taken to shows, and it is, therefore, wise to have something more portable for show use only. Hairdryers are seldom strong enough to penetrate a coat over 4” in length. 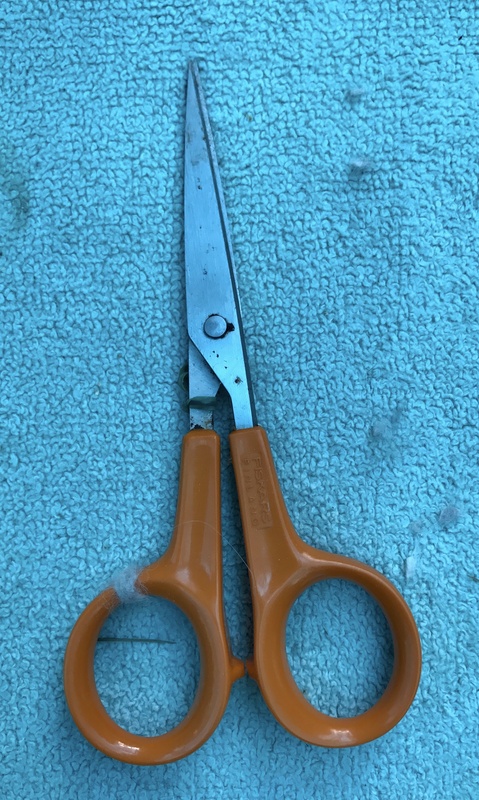 Clipping scissors, another essential, are readily obtainable. Choose the long-pointed hairdressers’ scissors for this purpose, and keep them exclusively for use on wool. Whether an exhibitor or not, at some time the breeder will require a travelling box. There are many commercial makers of boxes who give full consideration to ideal sizing, ventilation, construction of materials that are of economical weight and yet are strong enough to endure rail travel, and at the price offered it is hardly worth the time and material in making one’s own. Boxes are seldom supplied with wire floors, so essential for shows, but these can easily be made at home, constructed as the wire floors for hutches, but they need only be 1” to 1½“ in height. Exhibitors usually have two floors to a box, packed on top of the other, so that they can be used for the show pen when arranged side by side. 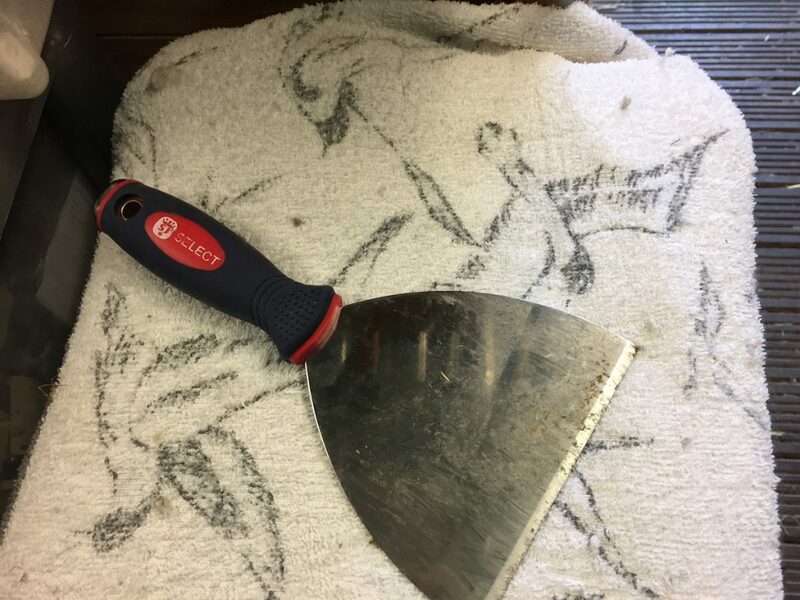 Equipment for cleaning out the hutches is a final requirement, consisting of a shovel, stiff hand brush, scraper and a receptacle for the manure. Each breeder develops a method of management and chooses equipment to suit his purpose. Elaborate equipment is not essential for success with Angoras, in fact, many a champion has been bred in very humble surroundings. The writer will always advise where items mentioned in this pamphlet may be purchased if the beginner has difficulty obtaining them. This information is transcribed from typewritten notes made by Mrs Pratley of Willowbank Angoras, an Angora breeder and exhibitor of distinction for 70 years and President of the National Angora Club from its inception in 1963 until her death in 1999 at the age of 82. These notes were probably made in the early 1970s as “asbestos” sheets for making hutches had been crossed out and “plywood” substituted, 17 shillings substituted by £1.40 when decimalisation prevailed and another biro note detailed that the cost of a Mason Pearson hairbrush was no longer £1.40 but more like £8. (Today a nylon pocket Mason Pearson hairbrush costs £38- £41 on Amazon.) 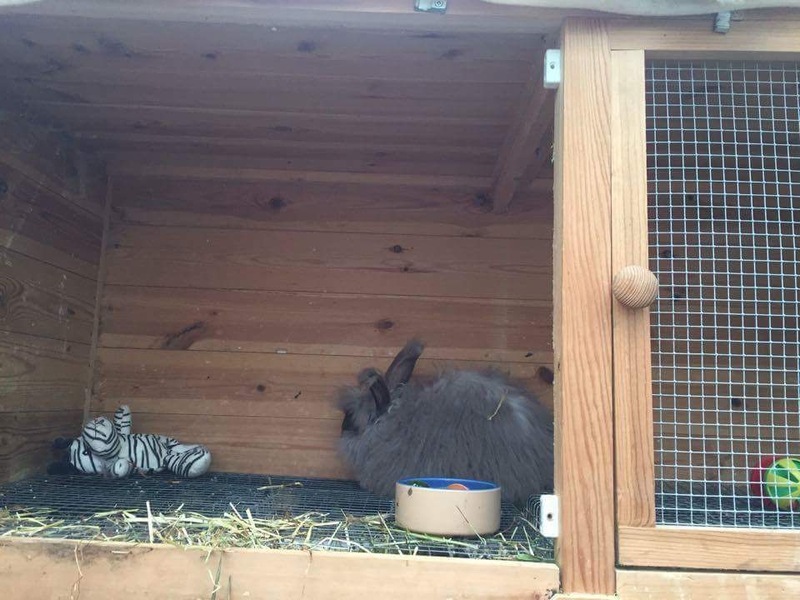 In the present day weldmesh and tongue and groove wood is recommended for outdoor hutches to ensure protection from dogs and the urban fox, and the size for a hutch for a single rabbit would be a minimum of 2 foot x 4 foot floor space and 21 inches to 2 foot high. 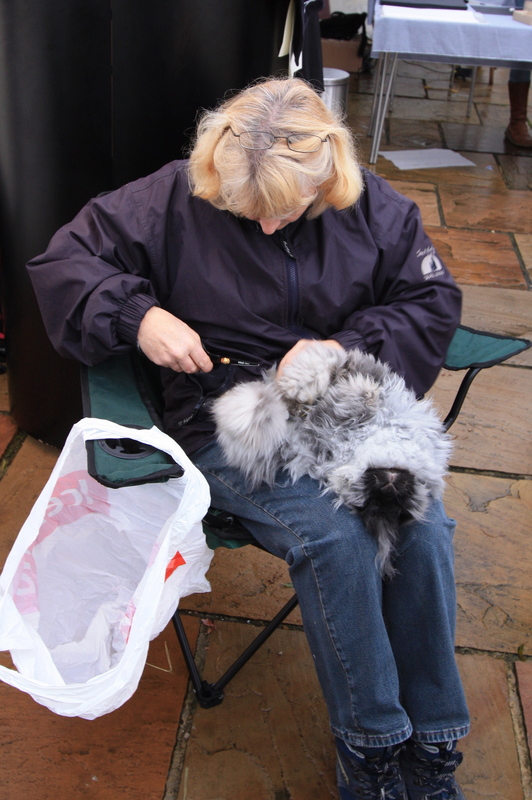 Hairdressing scissors are still used for clipping, and wire mesh floors used for show rabbits. Modern day photographs have been included for illustrative purposes but were not in the original article. Posted 15/08/2017 by LH & filed under General interest.